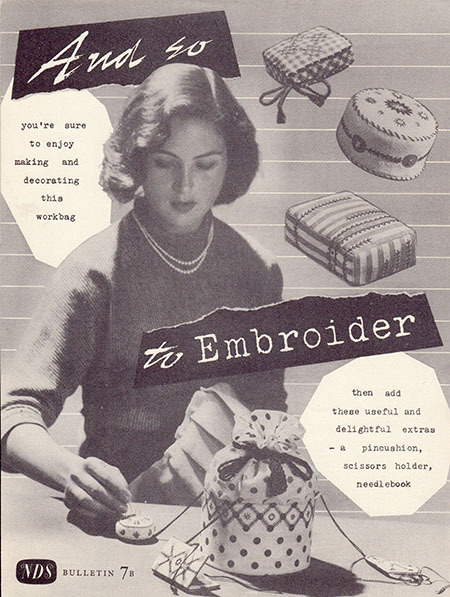 Because of this slight (haha) obsession, “And So To Embroider” leaflet 7b is making me very happy. 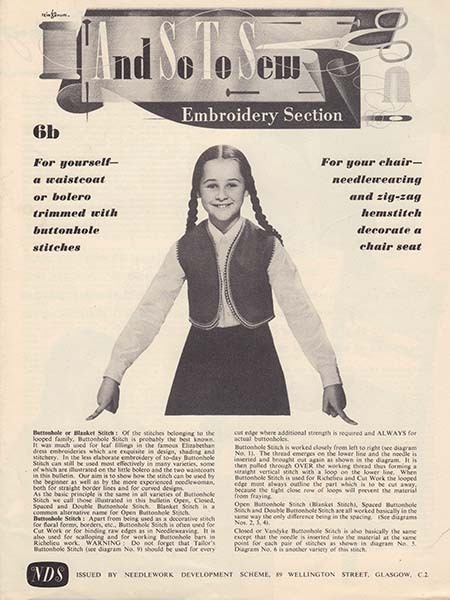 “And So To Embroider” leaflet 7b contains the full patterns and instructions for a work bag with exterior pocket, pincushions, scissors holder, and needle book. I’ve also included modern video tutorials for sewing tailor’s buttonhole stitch, and sewing those really cool scalloped edges that you can see on the work bag pocket. 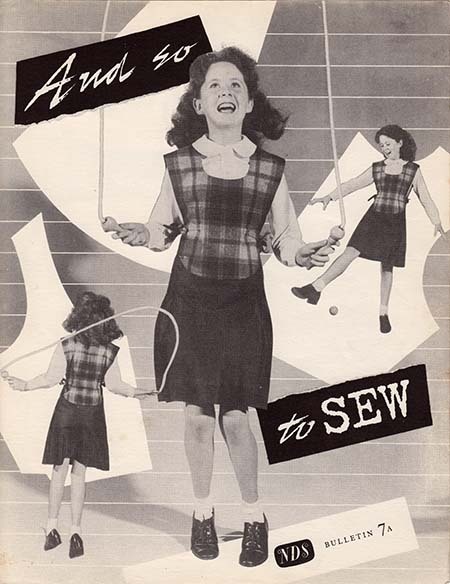 “And So To Sew” bulletin 7 introduces us to sewing with wool (one of my favourite fabrics), a pattern and instructions for a girl’s jerking/tabard, and all of the techniques used to sew a simple pinafore dress from a commercial pattern. I’m on a bit of a pincushion binge at the moment, and today’s tutorial is one for the sewing folks! Please enjoy my step by step photo tutorial for making a custom fit wrist pincushion that won’t leave you stabbed in the wrist! 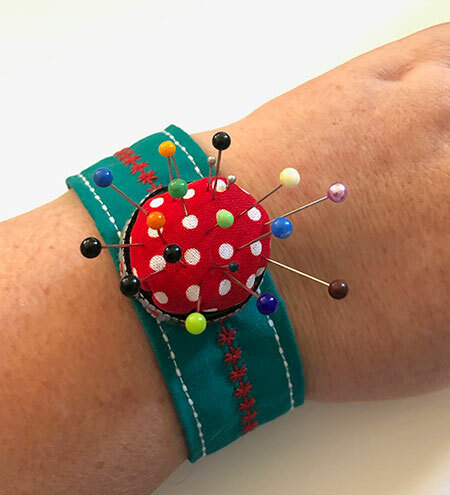 How to make an upcycled custom fit wrist pincushion. Vintage Accessories and New Embroidery Stitches with the NDS! 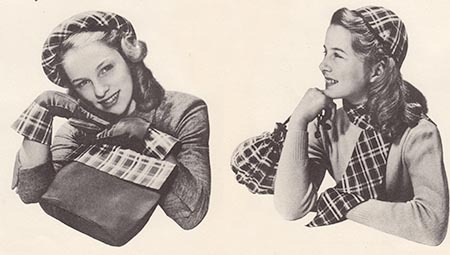 Leaflet 6a includes patterns and instructions for sewing two bags, two hats, a scarf and cuffs for your gloves. “And So To Embroider” bulletin 6b teaches you eight new embroidery stitches, with ideas for placing motifs and borders on waistcoats and boleros. As always, I have included video or photo tutorials for every stitch and technique used, because I wanted to make the techniques and patterns in these leaflets accessible to as many people as possible! I hope you’re enjoying the Needlework Development Scheme leaflets. If you’d like news of new downloads and patterns, including embroidery, sewing, knitting and crochet, please sign up for updates (in the left hand menu on desktop, or underneath this article on mobile and tablet). I have a fascinating little knitting pattern coming up this week, so keep an eye out! 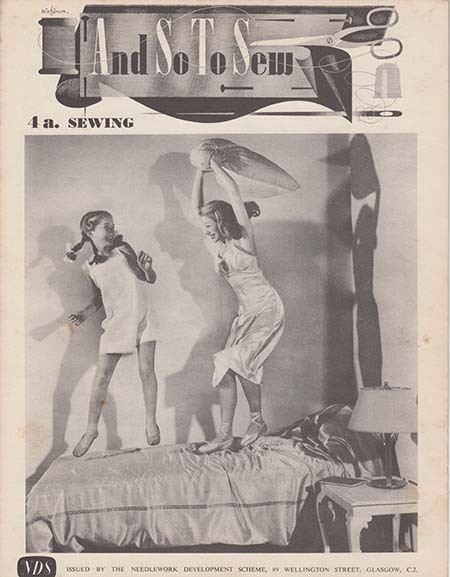 And So To Sew bulletin 4a contains two slip patterns for girls that can be used to sew undergarments or modern Summer dresses. 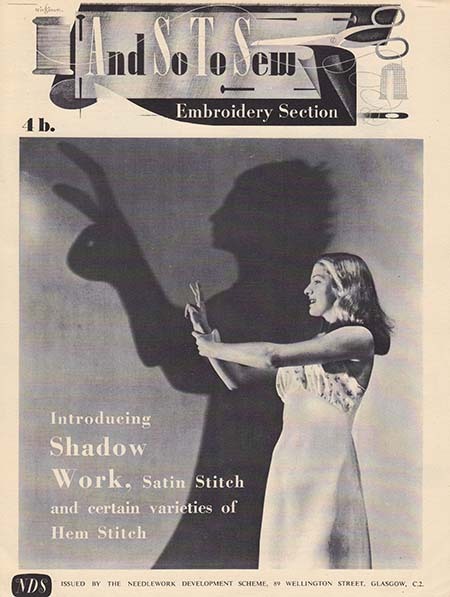 It also contains instructions for all of the techniques used in sewing both. I have also included modern video and photo tutorials for those of us who don’t have a sewing teacher on hand to help out! And So to Embroider 4b contains instructions for embroidering Shadow Work, various types of herringbone stitch, hem stitching and satin stitch, plus how to use an embroidery hoop. As with the sewing leaflet, I have included a selection of modern photo and video tutorials. I hope you are enjoying these leaflets so far. If you’d like to be notified of any of the projects, tutorials, news and downloads available I post in the future, please sign up (either on the left or underneath this post) and you’ll receive an email letting you know when I’ve posted!